An air-to-air heat pump utilizes a compressor, condenser, expansion valve, and evaporator to extract heat energy from outside air. Heat energy is stored and transferred using refrigerant. The process starts when refrigerant is compressed, increasing its temperature, and turning it into a gas. Once in a gaseous state, it travels through a condenser, which causes it to cool and release stored heat energy indoors. As it cools, it condenses, turning it back into a liquid state before passing through an expansion valve. Passing through an expansion valve cause a decrease in pressure which further cools refrigerant. After cooling, refrigerant returns back to an evaporator to be heated again. The process can also work in reverse in order to cool inside spaces. 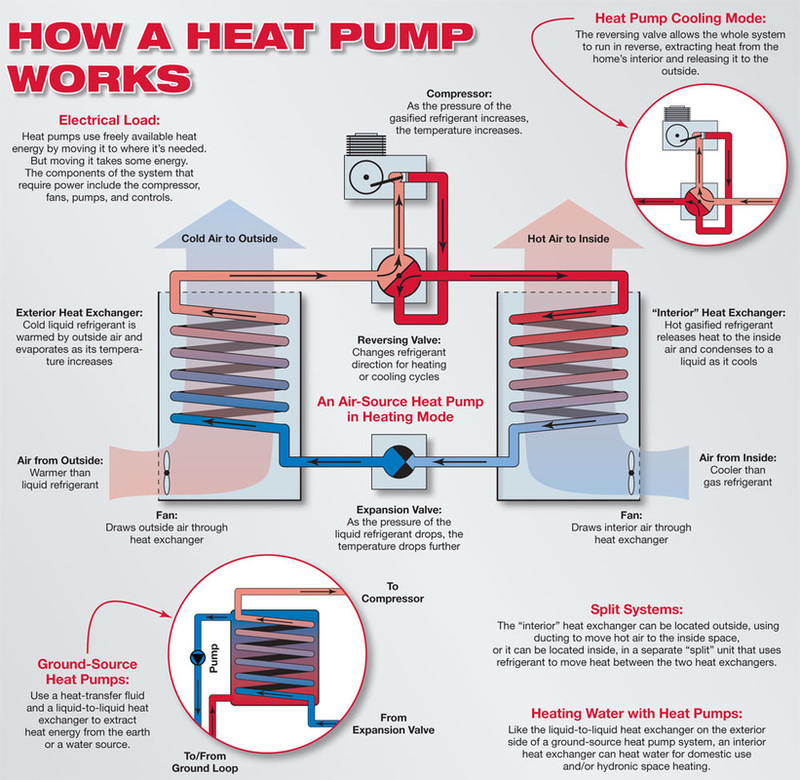 See also, "What is a ground-source heat pump?"